1. 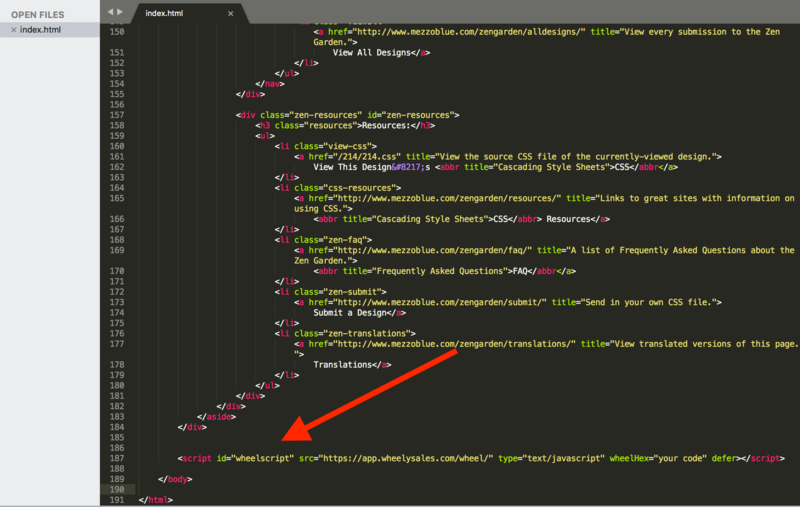 Find and open your main html file for your website. This is usually index.html. 2. Paste in the Wheely Sales code just before the </body> near the bottom of the file.